Promotional Info - Website of meltompkins! 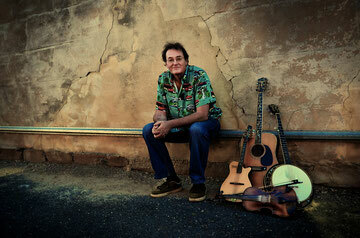 Mel emerged from the vibrant Canadian folk scene in the 1980's and set sail for Australia infusing into him a musical tapestry of influences such as Celtic, Blues Folk & Bluegrass. Now settled in Victoria's North East he collaborates with many known regional bands, hosts each month an Open Mic evening & is a part-time instrumental music teacher. This year Mel has produced 2 CD's - a retrospective Celtic collection and a traditional Aussie collection with band "Bush Telegraph." Now awaiting his latest CD which will feature personal old time, Appalachian & Bluegrass songs and tunes.